Officers from the Cotmanhay and Shipley View Safer Neighbourhood Policing Team are raising awareness with local residents after a number of items have been taken from gardens. Pc Andy Kendall-Edwards from the team said: “The thefts have taken place over the last three months. Garden furniture is being stolen overnight and this has taken place in the Shirland Close, Barlborough Road and Whitwell Close areas of Cotmanhay. He added: “It is difficult to prevent this type of crime as most people naturally want to make the most of their gardens. “However, a few small steps may assist in securing garden furniture or ornaments for example, they should take photographs of it and ensure it is marked with their postcode so that if it is stolen and then recovered, we can return it to the rightful owner. Anyone with information about the thefts can call Pc Andy Kendall-Edwards by calling the non-emergency number 101. Police are warning cyclists to make sure their bikes are secured at home after a householder disturbed a man climbing over his seven foot gate. It happened on Saturday evening, May 26 2012, at about 5.30pm, at a house in Downend. The householder and his wife were in their garden when they saw a man climb over the gate. When challenged he made off in company with a second man, and the couple realised a bicycle had been disturbed. Police arrested three men nearby on suspicion of attempted theft. All three were later released on police bail pending further enquiries. Neighbourhood PC Wayne Hodge said: "Fewer than 15 per cent of people reporting their bikes stolen are able to give us enough details to identify their bicycle and prove it's been stolen, should it be recovered. I'd urge cyclists to mark their bikes with their postcode and register the serial number on the free national database, www.immobilise.com." PC Hodge added that bikes are being targeted by thieves who break into sheds and garages. The advice is to make sure your bicycle – and other valuables – are secure even within an outbuilding, by chaining them to a ground anchor. AN ornate concrete lion was swiped from a front garden in Frinton. Police are appealing for witnesses and information after the theft from a house in Rainham Way between May 17 and May 23. The lion is 50cm tall, weighs 20kg and has a large metal spike in its base. It is valued at about £50. Sergeant Pete Gerard from Walton police station said: “I would like people to keep an eye out for the lion, and anyone who witnessed the crime to contact us. “We also remind residents to be alert and keep an eye out for each other’s property." Sgt Gerard also directed residents to the ‘safer by design garden’ at Parker’s Garden Centre in Frinton. The model garden was set up at the garden centre earlier in the year to showcase crime prevention devices and methods that people could use to make their homes safer. Anyone who can help police with the concrete lion theft should call Sgt Gerard at Walton police station on 101. THIEVES stole a selection of garden ornaments from the front garden of a property in Hunstanton last weekend. Three concrete bears and a concrete pig were stolen from a house in Seagate Road between 7.30pm on May 19 and 10am the following morning. If you have any information about the theft, please call 101 (calls cost 15p). Cambridgeshire Police are seeing a recent rise in shed burglaries and fraud related crimes. Due to this please be aware of the following crime prevention information. Secure the access to your garden area by locking gates and using thorny bushes - where it is safe - next to walls and fences. The boundary is your first line of defence! Have you visibly marked the contents of your shed? It is recommended that you mark your property with your postcode or other recognisable features and make a note of any serial numbers. Photograph valuable plants, ornaments and garden furniture. External security lights which are activated by movement are a strong deterrent to a thief. Doors and windows of sheds and outbuildings need securing. Use good quality security fitments such as padlocks and bolts. Metal grilles or locks will help make windows less vulnerable. Use coach bolts or non-return screws to secure door hinges and security fastenings. Chain cycles, mowers, ladders and tools to strong anchorage points on shed framing or floor. Alarms for sheds and outbuildings are inexpensive (under £15) and can be obtained from DIY shops. Together we'll crack crime. Join a Neighbourhood Watch or Countrywatch scheme. Examine your insurance policies. Check that your household policy covers you for theft from your garden and outbuildings. Many of us keep expensive items in our gardens, meaning it's more important than ever to ensure they are covered on our home insurance. Stolen or damaged items from gardens are averaging claims worth £620, according to Saga Home Insurance's own claims analysis. The research shows that 44% of over 50s cite the garden as one of their home's most important features. But while half say their garden is where they relax and a fifth feel their garden is an escape from the world, in fact, our horticultural havens can actually become a source of stress. Two-thirds of all UK adults say they keep items ranging from barbecues and water features to countless ornamental animals, pixies and gnomes in their garden, and this figure increases to 78% for the over 50s. Adding all of this up, the research shows a quarter of gardeners over the age of 50 have more than £250 worth of these items alone in their gardens. With startling facts such as one in 12 over 50s having items stolen from their garden, making sure your garden items are insured should be of great importance. No matter what age range you fall into, check that your home insurance policy includes cover for garden items. Tot up the value of everything in your garden, including children's toys, lawnmowers and items kept in the shed or garage. Find out whether your policy has a limit on the amount of cover it offers on garden items – this varies depending on the policy and can be anywhere between £250 to unlimited cover. Roger Ramsden, chief executive, Saga Services, comments: "People enjoy creating their perfect garden, often investing a great deal of time and money in doing so, and this is particularly prevalent in the over 50s. "With the average garden insurance claim costing around £620 I would encourage keen gardeners to ensure they have the peace of mind of insurance cover for their precious garden possessions." Green fingered homeowners are being urged to check their home insurance policies to ensure their plants and shrubbery are covered. Swinton, a leading UK high street retailer of home insurance surveyed 1,000 online customers and found that 37% were unsure whether flowers and plants were actually covered in their policies. Furthermore, nearly a fifth of homeowners (18%) said they had been a victim of malicious garden damage in the past. Many homeowners spend a lot of time and money making their garden an enjoyable area in which to relax so it is important to protect this investment. Insurers offer varying levels of cover for garden items so it is vital that homeowners know exactly what is and isn't covered. Swinton offer GBP 1,000 of cover for items in the garden which includes malicious damage, theft or fire to garden furniture, flowers, plants, lawns bushes and trees. This would not include neglect or if damage is done by the weather or animals. Steve Chelton, Claims Manager at Swinton said, "Many homeowners overlook flowers and shrubbery in their gardens. It is important to check whether these are included in your home and contents insurance policy as they can be expensive to replace if they were stolen or damaged." Gardien Comment: Use the garden inventory checklist at http://www.garden-security.co.uk/inventory.aspx to help evaluate your garden contents and then match it to your insurance cover. We’re mad keen on kicking back in the garden in Britain, particularly the over 50s. In fact, Saga recently found out that nearly half of seniors reckon that the garden is one of their homes' most important features and that their outdoor space is where they like to relax. But what with cash being lavished on British gardens on items like barbeques, patio heaters, chimineas, summer houses, gnomes, and goodness knows what else, it makes your average garden rich pickings for thieves, especially with metal theft on the rise. Saga says that the average claim for garden thefts is £620, with one in 12 people that the company surveyed saying that they’d been a victim of garden theft. Gardien Comment: Use the garden inventory checklist at http://www.garden-security.co.uk/inventory.aspx to give an accurate value of what is in your garden and then check your level of cover. Police are appealing for the public’s help after the statue was taken from the Religious Society of Friends (Quakers) in Handside Lane, some time between May 15 and yesterday (Tuesday). The burglars have entered the rear garden of the premises and removed the statue, leaving the plinth behind. Roy Murray, investigating officer, said: “This statue would have been very heavy and may have taken some time to remove. “The offenders would have also needed a vehicle to take it away. Residents are being reminded to keep their shed, garages and gardens secure over the summer months to help deter opportunistic thieves. The Basildon Community Safety Partnership (CSP), which is made up of agencies including Basildon Council and Essex Police, has released some top safety tips for residents to keep their belongings secure. Paula Mason, Basildon Council’s Community Safety Manager, said: “The summer months tend to be a peak time for garden thefts and unfortunately many people under-estimate the value of the items they store in their shed, garage or garden. However, criminals are fully aware of the value of goods stored in these vulnerable places. • Position your shed as close as possible to your house so that it is clearly visible from your home. • Secure hinges with coach bolts not screws. Consider using a shed bar across the door. • Fit window film to any glass to increase its strength. • Avoid storing valuable items such as power tools, fishing tackle or golf clubs in the shed. However, if there is no other option, secure a lockable box to the floor and/or wall of the shed to store these items. Lock the box using a closed shackle padlock. • Avoid leaving items attractive to thieves, particularly pedal cycles, in your garden. Large items such as cycles can be secured with shed shackles. • Use defensive planting, i.e. thorny shrubs around the perimeter of your property and under windows. • Install outside security lighting which comes on automatically. Lorna Watson, crime prevention officer at Essex Police, said: “Sheds are relatively easy to break into so it’s worth considering how to keep intruders out of your garden in the first place. “Consider increasing the height of rear fences by adding weak trellis to a total height of approx. 2m. “A good quality, well designed shed that is firmly anchored to the ground is also a sound investment. Mark tools and garden furniture with your postcode and house number. It’s hard to put a value on a garden. Often the result of years of handiwork, the replacement value for a mature garden is sadly and worryingly grossly under-estimated by most insurance companies. Gardening is the nation’s favourite pastime as interest in next week’s Chelsea Flower Show will indicate. Even in difficult economic times, spending on garden improvements including landscaping is expected to rise 10 per cent this year, according to the annual HSBC Gardens Survey. In Yorkshire and Humberside, having a garden is regarded at ‘very important’ by 60 per cent of the survey respondents and ‘quite important’ by 23 per cent. The region’s gardeners expect to spend 90 days tending their area. In research by Populus for Saga, 44 per cent of over 50-year-olds cite the garden as one of a home’s most important features. Yet people in Yorkshire are over four times as likely to have something stolen from their garden (13 per cent) as those in the West Midlands (three per cent). Garden theft claims doubled in the first three months this year by comparison with the same period in 2011, according to NFU Mutual. They say power tools, bicycles and sculptures are the three most commonly stolen articles. Their average item claimed is now £1,317. Most of a garden’s value, omitting a greenhouse and shed, lies in the shrubs and trees and equipment like mowing machines. Both gardeners and insurers frequently do not realise how far replacement prices have outgrown original costs. Insurance is meant to replace like with like. Whilst a young tree may cost only £50, a mature version may cost £2,000 and possibly a great deal more. A bush like Corylus avellana today costs around £40 but a 30-year cork tree, quercus suber (6m tall), is £18,000 from Barcham with another specialist, Majestic Trees, quoting £20,790 for a Persian ironwood (Parrotia persica) and £23,065 for a 12m tall Cedrus atlantica. It is up to the insured to take a detailed inventory with serial numbers where appropriate and to keep values up to date. Bicycles, golf clubs and gym equipment. Antique or vintage items are popularly displayed in gardens. They include staddle stones, planters, troughs and sundials, all of which are popularly stolen and offered through car boot sales or internet auctions. The most unusual items NFU Mutual have paid out for are a beehive, vintage postbox, antique anvil and two silver pheasants. When refurbishing a property, guard against thieves who may seize paving stones, copper piping and other building materials temporarily stored outside. Keep access as restricted as possible by locking and bolting outbuildings and garden doors. Ensure all gates and fences are in a good state of repair. Install a security light as a deterrent and consider having sensors fitted for sculpture and sundials. 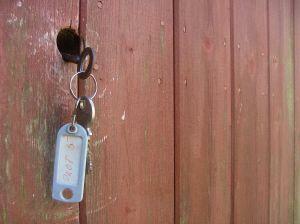 Many insurers distinguish between items left in the open and in locked outbuildings. Therefore, even in the rain, it’s important to put tools and a barbecue set away. Bicycles left in the garden are uninsured by Aviva unless extra cover is taken out for around £9 a year per family. Claims steadily rise with more daylight. Aviva reports July and August claims almost 40 per cent up on January for garden theft. It advises to shut away ladders and wheelie bins which help thieves gain access. Loss or damage can also occur through storm or flood. Santander offers up to £250 under its ‘Choices’ policy but unlimited for items in the garden under the ‘Peace of Mind Plus’ policy. For theft, it insures to £250 and £1,000 respectively. Some budget insurers are unrealistic in their cover. Churchill (part of The Royal Bank of Scotland), for instance, sets a £250 ceiling but M&S Money, underwritten by Axa, is unlimited under its Premier policy. John Lewis, using Axa, offers up to £5,000 with a choice of £100-£500 excess but the leading mutual LV= (formerly Liverpool Victoria) is less generous with £1,000 garden cover and up to £250 for plants, shrubs and trees. Banks vary considerably in their protection. HSBC only covers to £500 for garden contents but up to £2,000 for items in outbuildings and has no single article limit. Apart from overall limits, check if a single article limit applies. “If a policy does not state a limit, it may be worth contacting your insurer to notify them of any costly items to ensure you are covered should you need to make a claim,” advises Peter Harrison, of internet site MoneySupermarket. A few insurers have additional garden protection available. Saga, using a panel of 12 insurance companies, can extend cover for replacing shrubs, trees and hedges from £1,500 by a further £2,000 for contents in the open. It will also contribute up to £2,500 for professional garden-design fees and expenses incurred to return a garden to its former condition if damaged. NFU Mutual extended its cover last September to cover damage caused to gardens by emergency services as a result of attending the home because of an incident insured under the policy. Garden contents is covered up to £2,500 and £10,000 respectively under their two policies with each item (plant, shrub or tree) protected up to £250 (up to £2,000) and £500 (up to £5,000). As the UK’s leading rural insurer, it is well aware of the risks and rewards associated with living in the countryside. It receives many claims annually for garden damage by cows, sheep and other livestock, not belonging to the insured, which trample and even eat plants, damage furniture and even fall into swimming pools. Among the largest recent theft claims, NFU Mutual report £7,000 for an antique sundial, £5,210 for a ride-on mower, £2,500 for a quad bicycle, £2,350 for a garden sculpture and £2,130 for golf equipment. However, clients have also lost heating oil (£2,115), clay pigeon traps (£1,775) and items for a caravan in the garden (£2,199). THIEVES grabbed a treasured engagement present as they made off with £20,000 worth of possessions from a Cheltenham couple's home. Isabel Booth had saved for months to buy parts to build a mountain bike for her cycling-mad fiancé Rod. It was one of six bicycles that the family kept locked up in their garage in Galileo Gardens, Hester's Way. But the items were snatched during a break-in on Saturday night. Police have now warned a gang could be operating in the area. The one-of-a-kind £6,000 bike was built by Isabel in the workshop of Leisure Lakes Bikes to celebrate the landmark in the couple's relationship. "I spent months and months putting money aside to buy all the parts one bit at a time and then I went into the shop to make it myself," said mother-of- three Mrs Booth, 32. "I learned how to do it all in the workshop and they helped me to build it, so it was completely unique and can't be replaced." Mr Booth had not ridden the yellow Intense Tracer since it was given to him in October due to injury. Three of his other bikes were also taken – a black Yeti SB-66 worth £5,500, a carbon Lapierre Zesty 914 worth £5,250, and a red and black On-one 456 worth £2,250. Mrs Booth's red, white and black Specialised SSR Myka worth £1,500 was also taken, along with her 12-year-old son Davey's red Santa Cruz, worth £2,500. The bikes were too expensive to be included on the couple's contents insurance and they had not taken out a separate policy. It is thought burglars used a crowbar to pull open the garage door, which joins the house, while Mr Booth was watching the Champions League final and his wife was in bed. "I heard a bang at about 10.30pm, but it sounded like it was coming from the garden and I thought it was the dog running around," said Mr Booth, who rides in the Forest of Dean and in Wales. The couple, who run the Clarity Insight counselling business in Lansdown, discovered the thefts on Sunday morning. It is the third time Mr Booth has fallen victim to a bike theft. "Back in 2009 I had bikes locked to a vehicle and went inside for a matter of minutes and when I came back they were gone," he said. "Then last Christmas Eve, a bike we bought Davey for his present was stolen, so we had to rush out to get another to replace it." Leisure Lakes Bikes Scott Jones, workshop manager, said: "For Isabel to build the bike was a really nice gesture. It was a pretty rare frame and nobody else would have had a bike like that. "It's horrible to hear about this sort of thing." Police said there could be a gang of bike thieves patrolling the area. Sergeant Tony Wallace added: "The officers in Hester's Way have reported an increase in high-value bike thefts." Witnesses should call Gloucestershire Police on 101 and quote 114 of May 20.